Here at Shadowridge Veterinary Hospital, we are proud to offer vaccine clinics. We all know how tight money can get. We know there are times when you have to decide whether your health or your pet’s’ health is more important. To avoid this dilemma, we are dedicated to helping you save money by offering vaccine clinics. We offer low-cost vaccines without examinations. 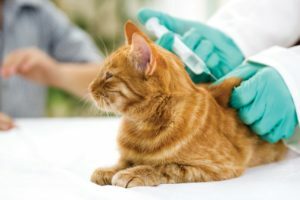 We believe that it is important to keep your pets up-to-date on their vaccinations. We don’t want money to be the reason your pets become ill. However, we still recommend yearly examinations to ensure your pet’s’ overall health. We use this time to go over preventive medicine and look for any problems your pets may be having. We hope to catch any problems early before they get worse (and more expensive to treat). If you have any questions or would like to know when our next vaccine clinic is, feel free to contact us today.